Faster EFT is a methodology developed by Robert G. Smith after many years of studying and working with thousands of people. It is a collection of new cutting-edge techniques and processes that integrates the most effective elements of EFT, BSFF, NLP, spiritual understanding, science and the mind’s great ability to transform itself. 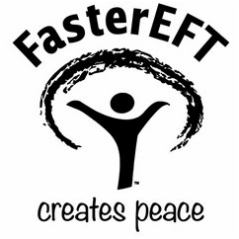 One of the greatest aspects in Faster EFT is that it is fast, direct and to the point. It has a healthy and logical belief system that is easily accepted. With this great mix of understandings, Faster EFT can quickly transform how you represent your past, shift your emotional disruptions and restore your physical health. Faster EFT is the New EFT (Emotionally Focused Transformations) on the fast track according to Robert G. Smith. Faster EFT addresses the entire mind/body system which includes what you think and how you process your thoughts, along with the body’s response. It is a self-empowering system that gives you control over your past, present and your future. It will show you how to design and transform your life right now.